Big box commercial gym fitness is not for everyone. Many people find they reap the most benefit from smaller, private, boutique gyms offering small group or even personal one-on-one training. These programs allow participants to focus on their specific goals, receiving special individual attention from their coach. They are surrounded by others who share the same or similar goals and provide a valuable support network with lots of extra motivation. 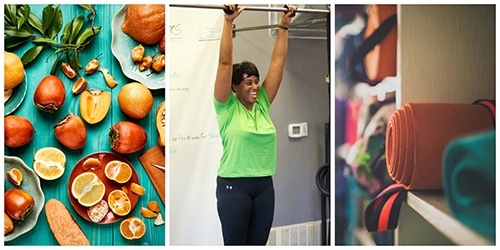 Boutique gym memberships and small group training aren’t cheap, but for many, it’s hard to put a price on achieving that long sought-after weight loss goal, new pant size or even reaching the right size and shape for your wedding or upcoming special event. Also, ask just about anyone, that feeling of comfortableness and belonging when walking into your private gym does wonders for your confidence and often is just what is needed to keep you coming back. We invite you to see what all the buzz is about by trying out one of our Small Group programs. Masters Powerlifting 101 – this one’s for 50 year+ ladies only who want to be in better shape at 50+ then any other time in their life! Sign-up online or email [email protected] to get started. All programs meet twice a week for one-hour, and include up to, but never more than 5 participants, the cost $310 per month.